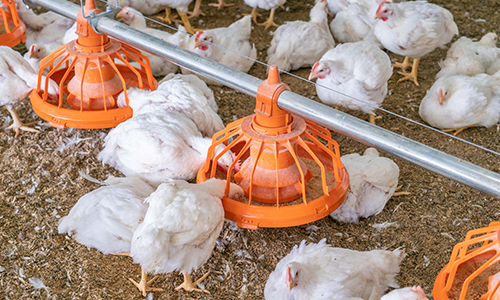 The patent pending FLUXX broiler feeding system is the industry’s most innovative broiler feeding pan. The FLUXX system has been farm tested around the world, proving to be the best at faster starts and bigger birds. 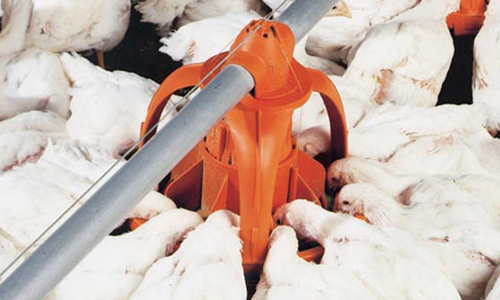 Big Dutchman’s UniGROW 360 broiler feeding system is a revolutionary, patented pan feeding system that drastically reduces the time it takes to adjust feed levels and improves feed conversion by reducing wasted feed.